The record-setting score that settled the Donkey Kong arcade rivalry made famous by the documentary The King of Kong has been invalidated by Twin Galaxies, the de facto arbiter of arcade world records. What’s more, Billy Mitchell, the occasionally controversial player who set it and other record breaking scores, has been permanently banned from consideration for future records. It’s a huge upset that calls into question decades of history. Will other similarly disputed scores get the ax? Are any old-school arcade legends safe? Before anything, it should be noted that although this sounds like kind of a random niche issue, the classic gaming scene is huge: millions follow it closely and take it very seriously. Breaking a high score on a 30-year-old game or shaving a quarter of a second off a hotly contested time can and will be celebrated as if the player has won an Olympic medal. One can never underestimate the size or sincerity of online communities. Cheating is, of course, not tolerated. With that said, it’s worth considering that Billy Mitchell’s case is unique. He is undoubtedly a highly skilled player and has been setting records since the ’80s. But, as anyone who watched The King of Kong will have learned, he’s also a bit shady and his Donkey Kong acumen is far from established. The issue is simply that despite his having provided tapes of games setting certain records — including, most famously, being the first to break a million in Donkey Kong — no one has seen him play like that in person. That may sound like a red flag, but in the speedrunning and record-setting community, a great deal of practice happens alone, in an empty arcade, or otherwise with no credible witnesses (though Twitch has changed that). You could set a world record while in the zone after getting home from work, but it doesn’t count unless it’s seen live, or a recording reviewed and verified by a neutral party. Twin Galaxies is the largest organization performing that duty, and they take it very seriously indeed. The final score on Mitchell’s disputed tape showing in The King of Kong (the leading 1 is omitted because the digits roll over when you reach a million). You may remember that at the end of The King of Kong, Mitchell reestablishes his supremacy over plucky local kid Steve Wiebe with a “direct capture” tape of a run scoring 1,047,200 points. There are no witnesses to this game. Shortly after this, he recorded a 1,050,200 score, also not witnessed. And just a week before being inducted into the International Video Game Hall of Fame in Iowa, he set records in both Donkey Kong (1,062,800) and Donkey Kong 2. Now here’s where things get dicey (and nerdy). If anyone thinks something is fishy, they can officially dispute a score and the Twin Galaxies team may choose to look into it. Jeremy Young, aka Xelnia, put together a two-part complaint on the forum back in February. In one part of it, he mentioned the suspicions some already had regarding the evidence set forth of the last and highest score Mitchell set, in a place called Boomers. As others had already pointed out, not only are the run itself and resulting score not shown in the video, but the referee is one considered notoriously unreliable, and the timeline is unclear, among other things. Most damning, however, it is clear that when Mitchell’s confederate ostentatiously “swaps out” the Donkey Kong board (so it can be verified elsewhere) for a Donkey Kong Jr. one (which Mitchell supposedly then set a record on), both PCBs were in fact the latter. Why perform this clumsy sleight of hand? Was it just a mistake? Why are people who point out the issue having their comments deleted from YouTube? Although suspicious, these circumstantial issues could be explained as a bit of confusion in the moment, a misspoken word in the excitement of setting a record, and so on. Fortunately, that wasn’t the extent of the evidence. As you may know, emulators are a type of application made to run old software (like arcade games) as closely as possible to how it ran on the original hardware. MAME is by far the most complex and perhaps the best-known emulator; this amazing app can emulate everything from Donkey Kong to much more recent games with complex 3D graphics. Of course, MAME runs aren’t accepted for world records — you could easily manipulate the software or even the game data itself. Real arcade hardware is required. But MAME isn’t perfect; there are tiny differences in how it displays graphics — things you wouldn’t notice unless you were watching a game frame by frame looking for them in particular. Which is exactly what people started doing with Mitchell’s no-witnesses, only-on-video scores. It turns out that the original Donkey Kong PCBs had a specific method of rendering a scene during graphics transitions called a “sliding door effect,” distinctive in the pattern of how pixels are updated. Careful inspection of Mitchell’s tapes showed not a sliding door, but instead a distinctive artifact of MAME emulation whereby the frame is rendered in chunks according to how the data is loaded from memory. You can see the similarity in the GIFs below, provided as evidence by Young. 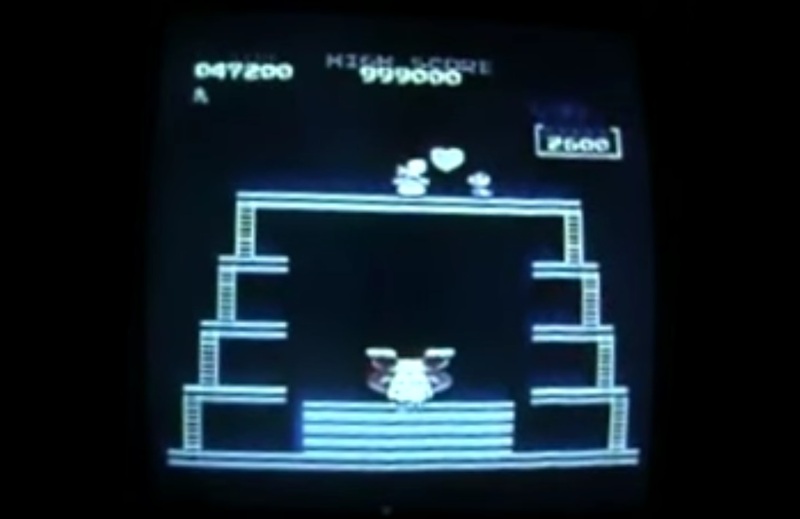 The taped Donkey Kong score performances of 1,047,200 (the King of Kong “tape”), 1,050,200 (the Mortgage Brokers score) that were historically used by Twin Galaxies to substantiate those scores and place them in the database were not produced by the direct feed output of an original unmodified Donkey Kong Arcade PCB. They decline to go so far as saying they know it was MAME, but that’s a mere scruple — everyone understands it’s the most likely situation. Regardless, the very fact that Mitchell passed off non-authentic footage as real is more than enough to strike his scores and, as they also announce, ban him from further placement anywhere in the system. 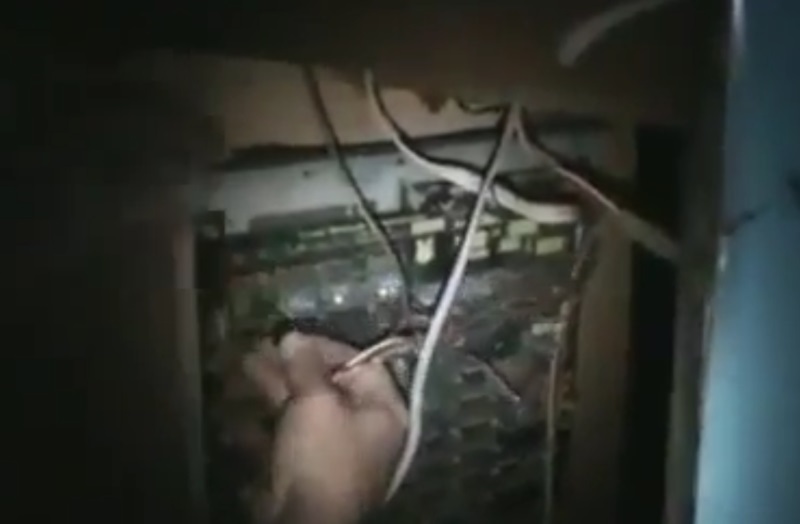 Mitchell, on the other hand, has remained out of sight during the investigation that has gone on these last few months, and has essentially been ruined for good in the arcade world. Even if he were to set a world record today (and existing record holders doubt he has the skill to do so based on reviewing his play), it would be tainted by years of proven deception. The community won’t forgive him. And that’s the worry others are voicing: Will the investigators come for other scores that for years have been venerated but have not been verified as strictly as modern records are? Will, for example, any score without an accredited witness or reliable recording be removed from the lists? Twin Galaxies is dedicated to absolutely rooting out invalid scores from our historic database wherever we find them. This dispute is closed, and a controversial but nevertheless legendary gaming figure covered in shame (or he should be if he has any). Who will be next? Regardless of who falls, the community will no doubt continue to thrive; the passion for these old games is undying and, as new generations have shown, is not limited to an aging cohort of Gen-Xers striving to extend a bygone era of glory (though admittedly they are a big part of it). If this strange saga interested you anywhere near as much as it interested me, go ahead and dive in. You might find you have a new hobby. Just don’t try to fake it. And by the way, the current top score in Donkey Kong is 1,247,700, set just two months ago by Robbie Lakeman. Good luck.